Professional Security Systems was established in the year 2000 in Dubai. Professional Security Systems prides itself on being responsible in how it handles relationships with customers, communities, employees and to the society as a whole. The group Principles describes what PSS stands for “making your life safer”. Each Principle has a Senior Management "champion" within the group, responsible for ensuring that value becomes a key part of how PSS does its business. The Security Institute (SyI) United Kingdom. 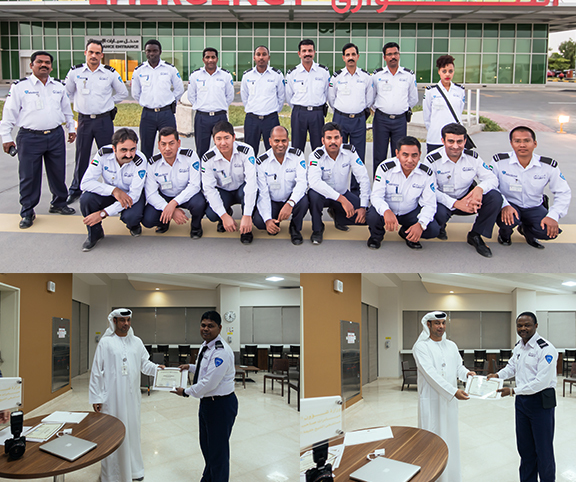 He is also a licensed Security Manager from the Private Security Business Department of the Abu Dhabi Police (PSBD) and Department of Protective System Dubai Police (DPS). Mr. Anis served as Officer in Tunisian Army Special Force Group and Military Police Regiment for more than 13 years. His operational and administrative experience in law enforcement includes various senior management positions with the Security service. Mr. Anis served as for many Leading Security companies in United Arab Emirates at a Senior Management position with decision making capabilities and consultancy. Customer Focus - we have close, open relationships with our customers that engender reliance and we toil in affiliation for the reciprocated benefit of our organizations. Proficiency - we develop and display our proficiency through our innovative and leading edge approach to creating and delivering the right solution. Performance - we challenge ourselves to progress performance year-on-year and to create long-term sustainability. Right People - we always take care to employ the best people, develop their aptitude, provide prospect and inspire them to live our principles. Reliability - we can always be trusted to do the right thing. Teamwork - we work together for the benefit of PSS as a whole.